the #1 guide for the best Harry Potter games! Have you ever wondered how it would feel like to go to Hoggard? What if Harry Potter could have made you fit in his suitcase? Have you ever wondered if you would have belonged to Gryffindor, Ravenclaw, Huffkepuff or Slytherin? Those are all valid questions that every Harry Potter fan has had at some point. Not only are we here to answer most of them, but also to help you become a know-it-all when it comes down to Harry Potter. Did you know that the Harry Potter saga was almost twenty years old? I could not believe it but my girlfriend reminded it to me. To be honest it feels like yesterday for quite a lot of us! It was unbelievable to see how this phenomenon took over the entire globe! Whether you were there since day one or whether you were a latecomer, we will revisit this imaginary miracle with you throughout our website dedicated to the glorious hero Harry Potter’s adventures! We will attempt to portray the reasons that have urged us to create this website dedicated to Harry Potter the Great without getting emotional! We are a team of four people (some of us come from the gaming, Karin and Jane, if you want to visit their own website), and we can still remember the day we were introduced to Harry Potter. At the time, we were all seven years old, and believe it or not, our first encounter with Harry Potter was through the first book, not the first movie! Yes, the nineties babies were still hooked on books! We were all in the same class, and we can still recall our teacher assigning the first Harry Potter book for our class session! We did not know anything about Harry Potter at the time, as technology was not available in every household. We even complained at the fact that we had to read the first book within a week! However, if only we knew what we were about to discover, we would have been overjoyed! While other classes had to read Shakespeare or Molière we were on the road to magic with Harry Potter. You probably know the rest, after the first book came the second one and so on, as well as the movies! We have been hooked every since. The saga ended sadly in 2007, and we have decided to follow through with the Harry Potter legacy and introduce it to the world and the new generations! You will have to learn a bit more about Harry Potter and the rest of the saga’s characters. Not only will we describe them to you, but we will also make sure to show you their evolution throughout the books and the movies. We guarantee you that you will be able to relate to at least one character, as we all did, at some point throughout the books! Please note that it is extremely important for you to make sure that you understand all the relationships that exist between each character, in order to move on to our next fabulous section of the Harry Potter guide to Hoggard! In order to put all those information in a context, we will invite you to learn more about the books and the movies. We will take each book one by one. You will benefit from summaries of each books, as well as a written trailer of each movies. You will be able to witness Harry Potter’s evolution throughout the different books and movies. You will become a pro at telling which story belongs to which book or movie. We will go about this section of our website as a quiz. 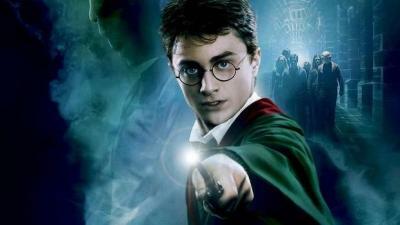 You will get a question and clues in order for you to master each ones of those stories starring Harry Potter. You will notice that after going through our first two sections, you will feel as if you need a bit more of Harry Potter in your life! Therefore, we will not leave you hanging! We will go a step further in the Harry Potter world for the fans. Indeed, the books and the movies as well as all the other derivate products entertained us for quite a while. However, you will see that the Harry Potter brand went a step further. Indeed, you will realize it when you get to our Harry Potter gaming section! Yes, you will be able to play with Harry Potter on your consoles as well as on your computers! We have tried them all and we have decided to provide you with a list of the best games. We have divided our section in two. On one hand, you will have a top 5 of the best Harry Potter games for consoles. On the other one hand, you will have our top 5 of the best Harry Potter computer games. Yes, although you will not be able to meet with Harry Potter on the big screen, you will be able to have regular meeting with your idol on your consoles and computers! Watch the Top 8 Harry Potter Video Games.